Helps in the treatment of anemia, skin diseases. 1-3 tablets daily, or as directed. Tablets containing the full spectrum of vitamins B and vitamin C and magnesium. Calming nervous tension and soothe, protect the cardiovascular system. During times of physical or mental stress, the nutritional demands of our metabolism increases. This may be especially true for nutrients belonging to the B family of vitamins, for two main reasons. First, they play important supporting roles in the production of energy, and central nervous system function, and secondly, they are water soluable and thus not stored in the body. 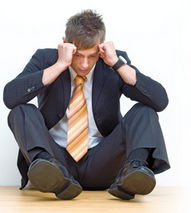 These factors may make B vitamins more susceptible to depletion during times of stress compared to other nutrients. 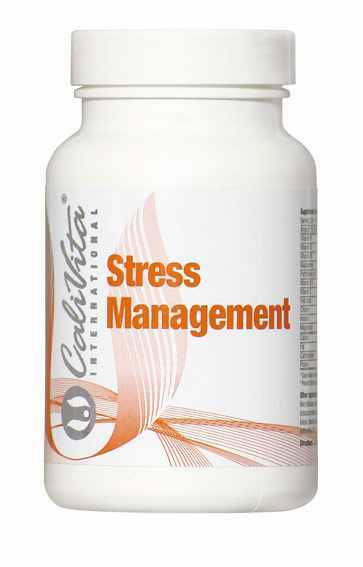 This is why a quality complex of B vitamins with high bioavailability forms the backbone of CaliVita’s® Stress Management product. Vitamins belonging to this complex include B1 thiamin, B2 riboflavin, B3 niacin, B5 pantothenic acid, B6 pyridoxine, B7 biotin, B8 inositol, B9 folic acid, and B12 cobalamin. Choline, while technically not a vitamin, is often included in this group as it functions in close relationship with folic acid and cobalamin. Several of these vital nutrients are involved in the metabolic processes which convert carbohydrates and fat into energy. As well, B vitamins play a vital role in the formation and production of red blood cells, which are important for carrying oxygen to the cells. Several B vitamins play a role in the production of hormones, and regulation of cholesterol levels. Others, such as choline and inositol play a role in the transmission of nerve impulses, support the integrity of nerve cells and contribute to the healthy functioning of the central nervous system. 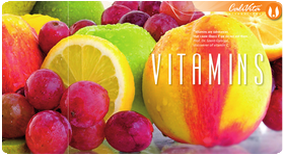 CaliVita ® enhanced the formula with the addition of vitamin C and magnesium. Vitamin C is another water-soluable vitamin that contributes to the synthesis of some neurotransmitting hormones, which are vital for brain function and may affect mood. As well, it contributes to the energy production processes of our body. Magnesium is also vital for supporting the process of converting fats and carbohydrates into useable energy. When taking vitamin B complex urine may become dark yellow and have a specific smell, with a permanent physical load - for example in professional sports - it can be hardly noticeable.